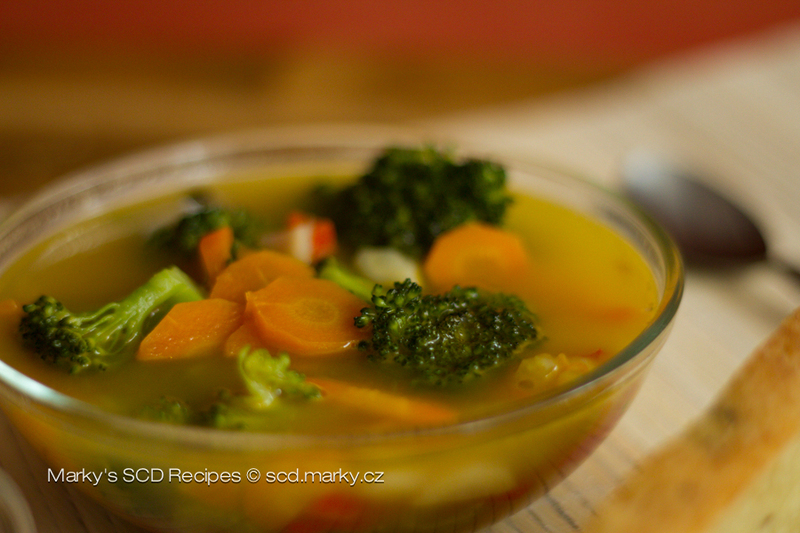 Vegetable soup – Heal With Meal! Vegetable soup probably isn't anything ground breaking or innovative. For some of you it might be just soup, even a mere vegetable soup. However! The way how we make it and what result we get depends on each one of us. 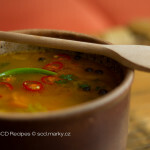 I think it's possible to elevate soup to a higher level, not only by way of how we make it, but also by removing artificial ingredients (boullions, sweeteners). We will only cook with the help of nature. 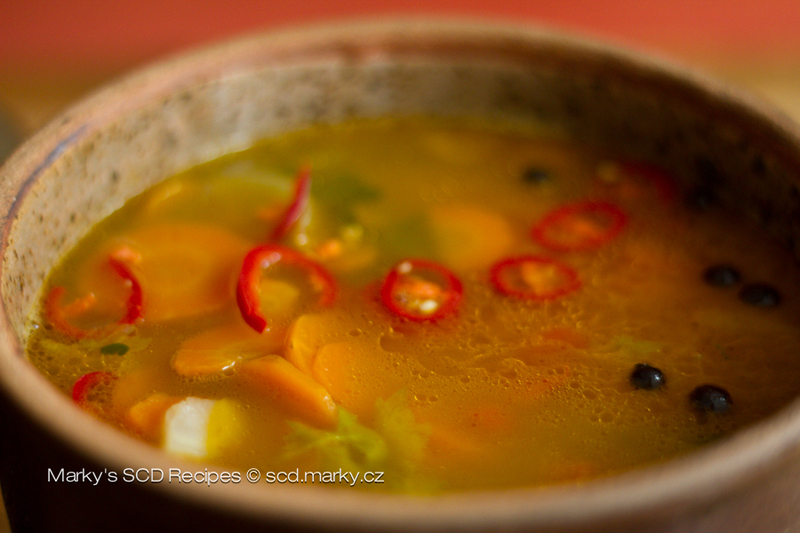 I admit that I like cooking this soup because it's enjoyable. It's game of ingredients, during which you need to take care how you prepare them and when you use them. I warn beforehand, I always cook a boatload of it in a large 5 liter pot and therefore I use appropriate amount of vegetables and other ingredients. 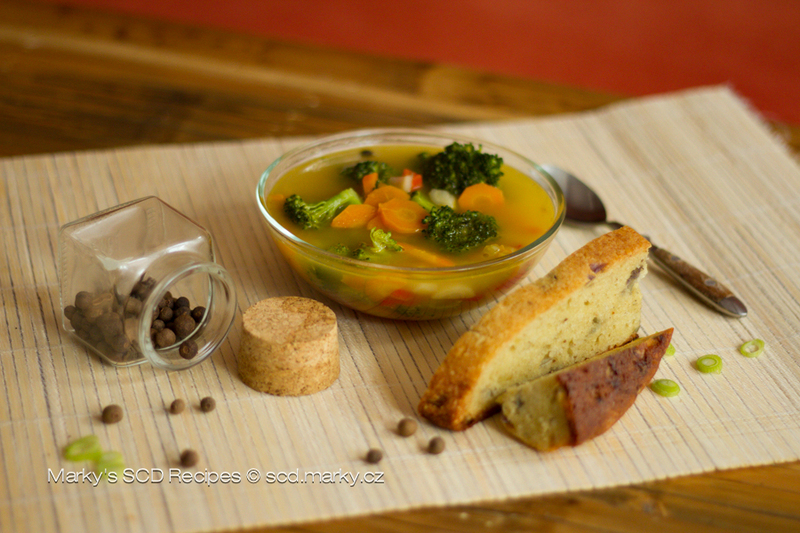 The basis of the soup are of course the root vegetables, thanks to which we get the perfect combination of taste and smell, and depending on the amounts, also the strength of the soup. I like the combination of carrot, parsley, celery, onion and leek the most. 1. First clean up the carrot and parsley, peel the onions (I always do that because the peel can contain mould, which is not wanted), wash the celery too. Next up is slicing and cutting. Size matters. Personally, I prefer smaller pieces, it results in faster boiling, and extraction (of the taste). When I have the time I play around with the shape of the cut vegetables, I like the colorfulness and shapes in my soup. 2. 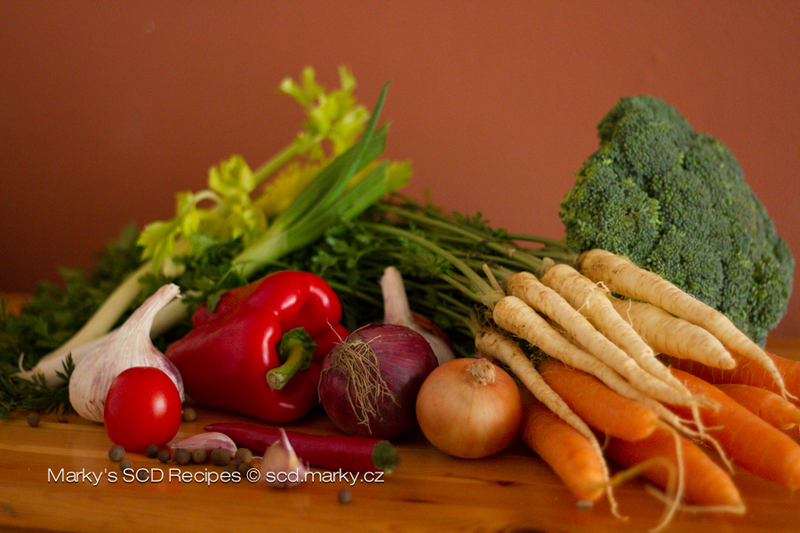 When we have the vegetables cut and sliced, we can decide whether we want to steam it, or roast it. Both ways are fine, I prefer the latter. Put butter or sunflower oil on the bottom of a heated pot (can use both). Sometimes I use the oil from Greek dried tomatoes, soup gains an interesting an unusual taste. Then add the sliced onion, which I first sear on a pan, then add a bit of honey and let it caramelize. After about 2 minutes I add the cut root vegetables - carrots, parsley, celery - this process has a big influence on the final taste of the soup. Sear for 10 more minutes during which I add couple pellets of allspice and pepper, parsley, bay leaf or thyme, finally add salt. Since we like more savory taste in our home, we also often add a small piece of fresh chilli pepper. But then I call this The Vegetable Hotness. 3. After about 10 mintues of searing I pour about 2 liters of hot water on top and bring it to a boiling point. Lower the flame, cover the pot with a lid and let it cook for abotu 30 minutes on a low flame. Just before finishing up I add peas. And when I want to make a slight change, I add couple pieces of broccoli about 10 minutes before putting it away from the flame. Don't forget the garlic! I add it once the soup is boiled. 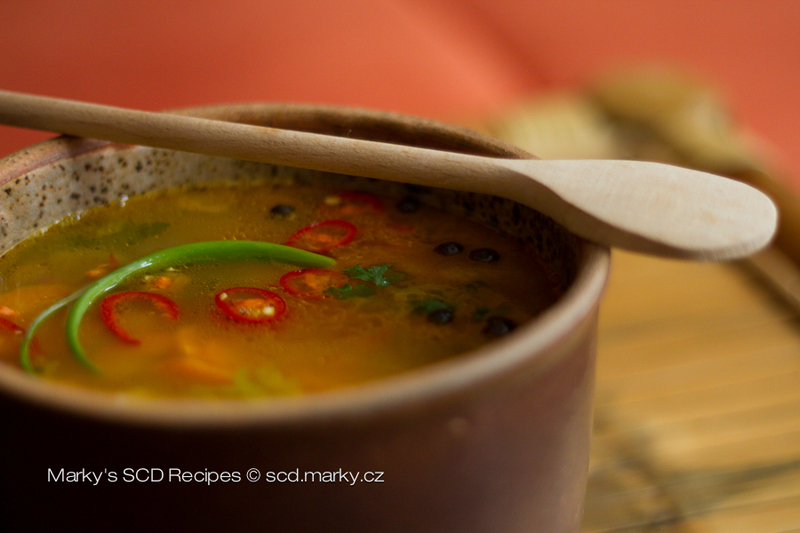 This soup is so thick, it is not necessary to add any artificial ingredients to thicken it up. But I made a slight change recently. I used smaller amount of vegetables and instead, I used small cubes of pumpkin (gourd, squash), which took place of the potatoes. Then we can also add sliced capillary or tomatoes. As I said in the intro, this recipe is a game, so you are free to break the rules! WARNING! This recipe is not suitable for the beginning phases of SCD. That means, if you have issues with your intestines and need to take care of the immune system first. For the beginning phases this soup requires a different approach. Tt's important not to irritate the gut and let it relax.